So, after having done some ring research online, we headed in to the jeweller Prins and Prins in Cape town and it was truly a unique experience; we chatted with the consultant for what felt like the whole morning to finalize the finer specifications of the design, and then we even got to meet the goldsmith who was gonna make the ring in person. It was so special. I cannot recommend them warmly enough. Delicate in the handling of your and your fiancés special point in time, and very intuitive in the fulfillment of your highest engagement ring dreams. Their shop is located in one of the oldest buildings in Cape town and breathes history, it even has the old well still intact behind the bougainvillea filled courtyard. But I should probably go back to talking about ring designs now, hey! 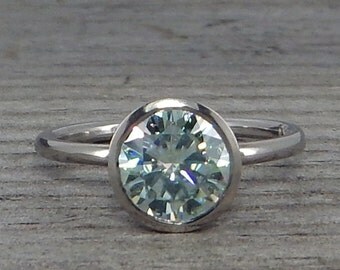 When it came to the design, I initially I thought I wanted a highly detailed and intricate ring, but when I discovered the bezel setting, I was immediately was hypnotized by the clean and timeless design that would work with any occasion and fashion, it is a simple and timeless design and that is why I love it so much. In this post I want to showcase the sparkling beauties that inspired me to go for the mesmerizing bezel set engagement ring style. They are unusual but oh-so-elegant and classy in their unique way. the most wonderful ring of them all… mine!